Most digital-reliant businesses do not realize their overall potential business value. According to a recent McKinsey Global Survey on digital initiatives in the enterprise, more than half the respondents said that their companies are “capturing just 20% or less of the potential value that digital activities could bring to their business.” Similarly, most enterprises seeking to benefit from IoT — operationally, financially, productivity-wise — are not yet prepared to reap value from implementing IoT devices and practices. Companies are making massive investments in IoT and implementing IoT technologies across the enterprise fully aware that IT must integrate with corporate, operations and, most often excluded, the factory. Connected devices can optimize the supply chain, energy consumption and production. There is a lot of knowledge which interconnected IoT technologies can give companies to drive down costs and increase revenue. Businesses that drive down costs by implementing cross-platform IoT systems are finding success now more than ever. It is much faster and more cost-effective within the enterprise to innovate within than to seek revenue by introducing a new product to market. Take, for instance, a global supplier for the automotive industry that recently built some IoT technologies into a production project. By implementing a discrete alarm and condition monitoring setup, it was able to better support its global installed base. Using IoT, any modifications and other support processes necessary can done remotely. This reduced engineering support costs by over 30%. And the IoT systems are making analyzing data more useful. Piloting some AI capabilities into the setup, the automotive industry supplier is now capable of doing predictive maintenance for its project. 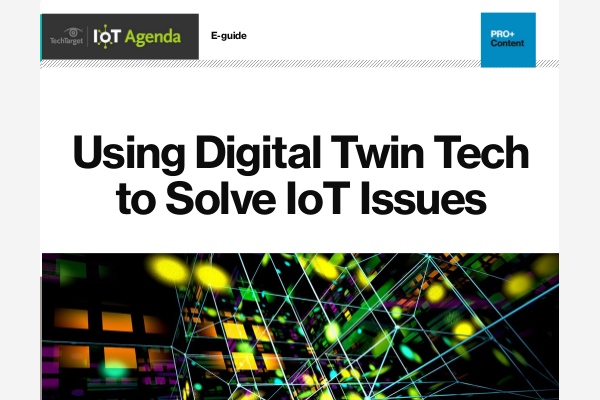 In this instance, IoT is not only driving down costs, but it is also helping eliminate breakdowns that could cost customers time and money. When an IoT implementation does not work, it is likely due to businesses either moving too fast to integrate IoT technologies into a current system or pushing IoT at a scale that is not optimal. It is best to implement IoT in a small, self-contained project and then scale it across the enterprise. In the example of the auto industry supplier mentioned above, it originally implemented the new technologies in a simple, self-contained manner. It got a terrific result: An immediate ROI helped it secure top-level and important sponsorship internally, allowing it to integrate the IoT system on more complicated projects. Find a self-contained project, implement an IoT technology and then show value — then you will be able to be more ambitious. For new IoT initiatives to be successful, teams across the entire enterprise need buy-in. This undertaking, done right, can transform a business. One good way to do this with the IT team is to mirror current software development methodologies, such as Scrum, while incorporating new IoT processes. This is a great alternative to trying to retrain and educate. Using a framework similar to other software development work will have immense benefits for developers implementing IoT projects into existing structures. Immediately, the developers are hands-on with the project and will have daily contact with how IoT is making life better for the end user and other enterprise applications. And they will be working with the IoT processes as a team. This learning by doing in the initial stage of deployment allows software developers to be able to understand business issues and translate that into the software. Basically, getting buy-in and working with IoT systems right away will reveal the business reasons — and the importance — behind new IoT projects. We recently worked with an air conditioning supplier for data centers to connect its system through IoT. It works with large data centers and needed a way to prevent overcooling the systems, which it realized used more electricity and, therefore, is not very cost-effective. The AC system worked best running at 18 degrees, which, once the company used IoT, could be managed remotely. It also put a system in place that can identify a failure on the hardware side. Sometimes, something that looked like a temperature problem for a data center might actually be the fault of the server hardware. With the IoT system in place, the data the IT team collected allowed it to predict and identify the possible hardware unit that might soon fail. Those working on the project could see the benefits of the IoT project in terms of both time and cost-efficiency. When businesses try to implement IoT too broadly or too quickly, failure can occur. There are three phases to a successful IoT implementation. The first phase is to learn how to manage the new IoT environment. Whether you are connecting a few or a whole fleet of machines, you need to understand how the technology works. To do this, it is best to connect data in discrete application servers, condition monitoring and alarm management. You need the new technology implemented to manage the lifecycle. First manage the separate discrete project and discrete application. And be learning the whole time. The second phase is finding where the potential for failure lies within that new environment. Once you know how it works on your platform and where the problems could arise, you can then integrate the technology into existing IT systems and ERP systems. The third phase is where the cost optimization occurs. The IoT system is improving the supply chain processes and increasing cross-enterprise coordination. At this point, you can innovate around the new technology and implement predictive maintenance and AI initiatives. This is the innovation phase. When I think about what enterprises do wrong, I see they often go into the third phase — seeking the most innovative benefits of an IoT project — before they have implemented phase one and phase two. They underestimate the challenges in running an IoT project. Successful IoT implementations cut costs, improve the supply chain and increase integration between operations, IT and the technology. They also avoid the missteps mentioned above. Bet on the future of IoT for the enterprise, but start with ready-made technologies.